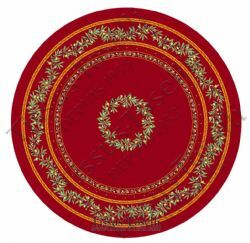 Olive blossom, fruit and green leaves sit on a deep red background. 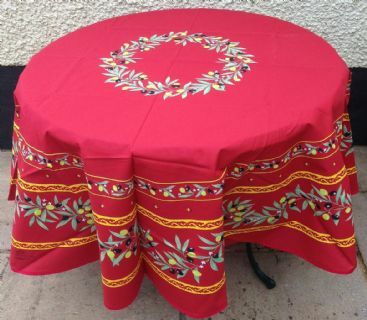 This tablecloth in 100% cotton​ has a subtle matt acrylic coating to give a wipe clean surface. Composition: 100% Cotton with wipe clean acrylic coated surface.